Artist Charles Houska wants you to have a good time with his art. 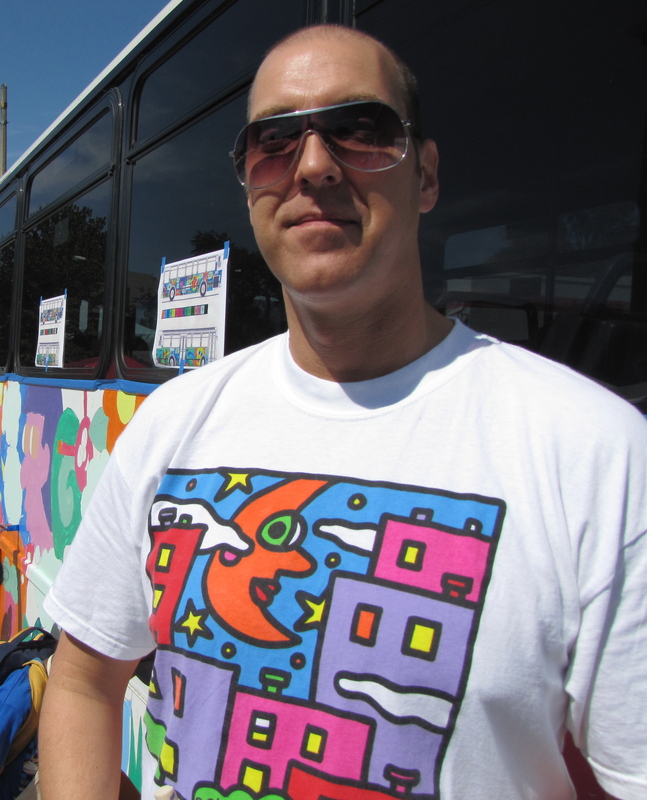 Houska was at the Green Homes Festival on Saturday, Sept. 25 to help people paint his design on a MetroBus as part of the Art in Motion Arts in Transit program. 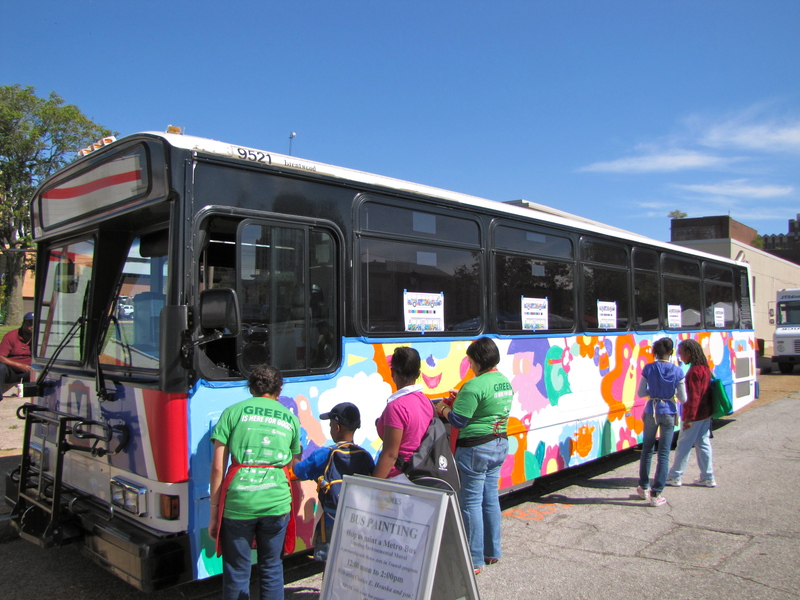 Approximately five or six buses are painted each year. 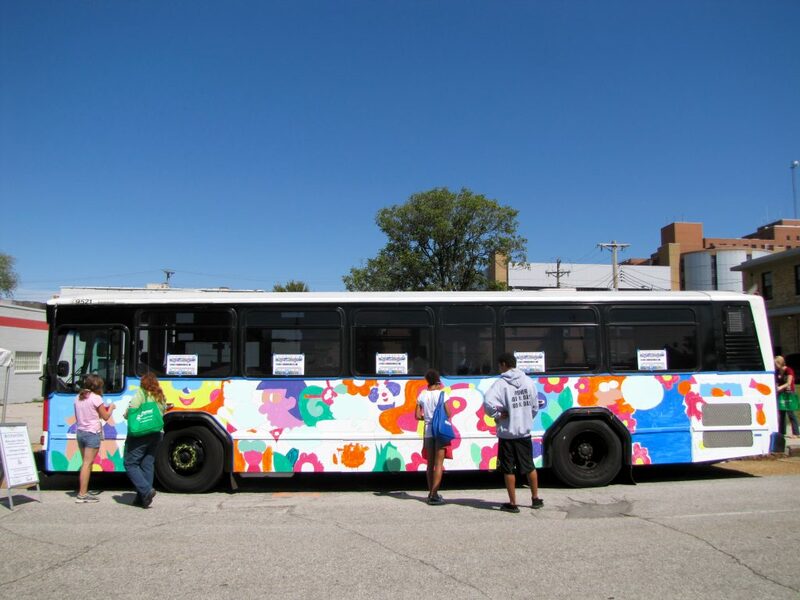 Houska’s bus was sponsored by the Earthways Center of the Missouri Botanical Gardens and has a green message of conservation and alternative energy. 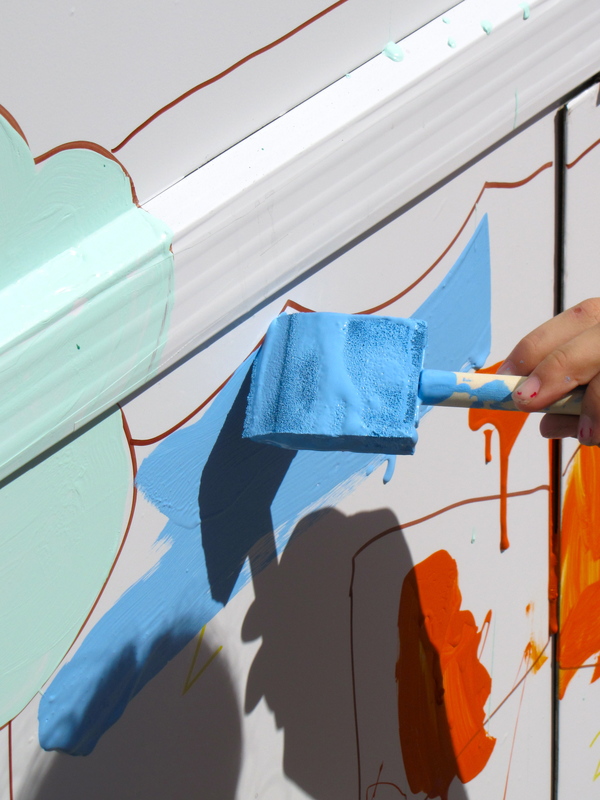 After the public painting event, the artist will go back and touch up the mural, which for Houska will include his signature black outlines. 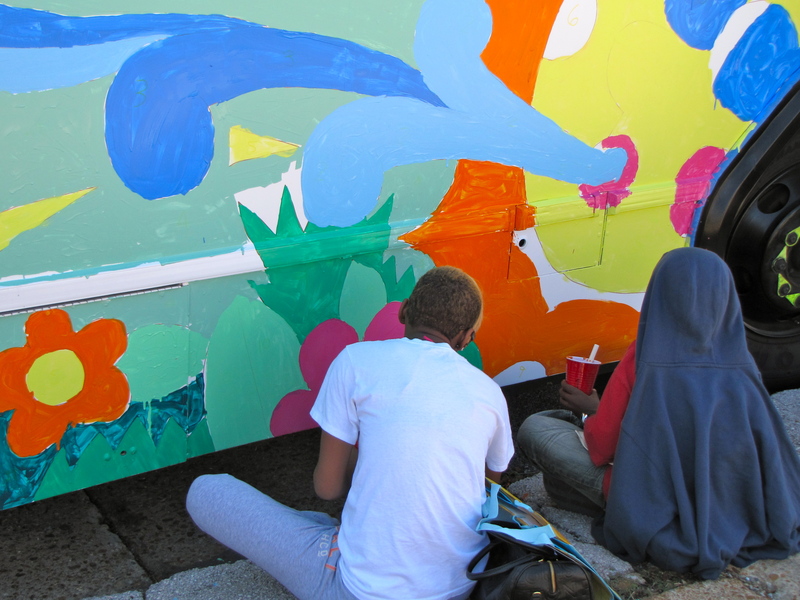 If you see the new art bus rolling down the street, be sure to let us know!